Encouraging responsible credit practices is absolutely critical for any student, especially one who is in need of his or her first credit card. Since every student’s goal should be to depart college with a degree, a good credit score, and as little debt as possible, we have a few simple tips for building and maintaining a strong credit score during college and beyond. In order to build a strong credit score, you first have to demonstrate that you are capable of using credit responsibly. Simply avoiding debt and eschewing credit cards will actually make you appear to be a greater risk, so securing a credit card is the logical first step to earning an impressive credit score. Of course, you have to make sure you secure the ideal credit card for your purposes, which is ostensibly to build up your credit score. This means you should avoid any card with a high interest rate or one that includes annual fees. Since your options may be limited due to your lack of credit history, you can start with a student credit card or a secured credit card from a credit union. The potential for irresponsible spending is the biggest risk associated with a credit card, so make a commitment to using your credit card responsibly. In other words, your credit card should be used sparingly enough that you are able to pay off the balance in full at the close of each statement period. 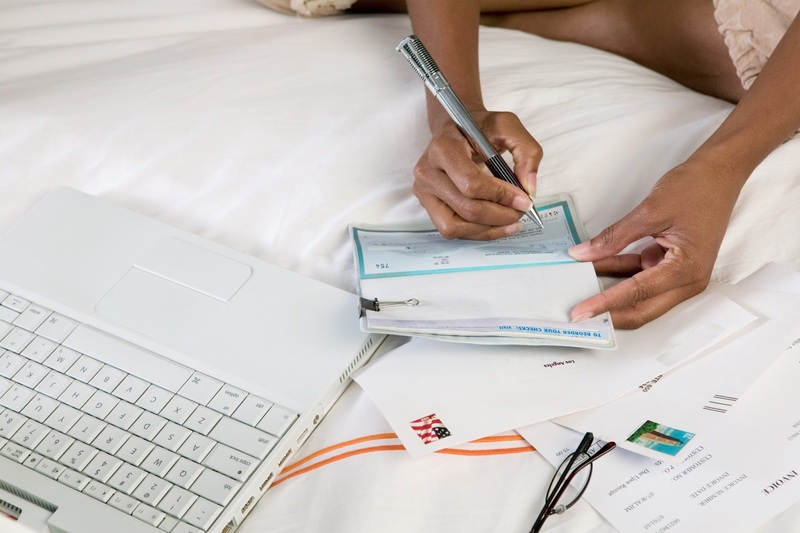 Designate a specific and necessary monthly expense and use your credit card for this expense with the understanding that the balance must be paid off before any interest accumulates. Groceries or utility bills are common examples, and you have to avoid the temptation to use it on frivolous expenses that will push you closer to your credit limit. 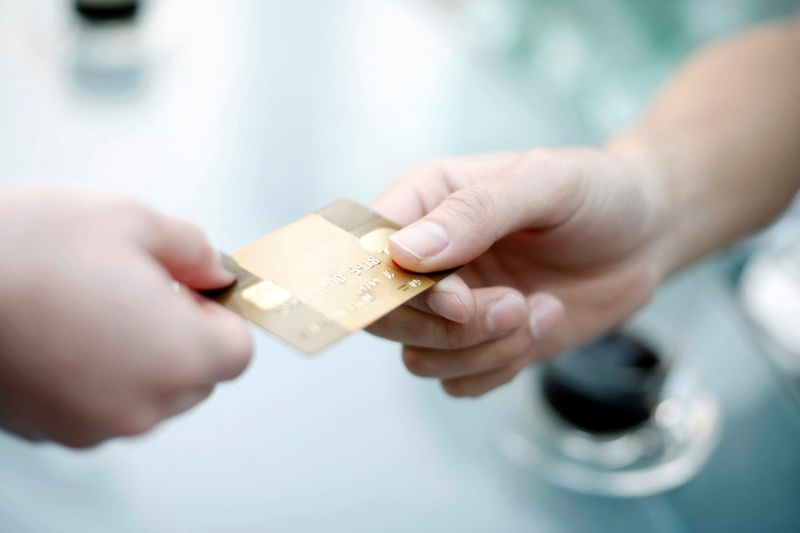 Using a credit card for the first time is not easy, and mistakes are indeed commonplace. If you are serious about building a strong credit score and maintaining that score, consider putting some accountability strategies in place. Use a site such as CreditUpdates.com which allows you to access your credit report so you can review how your behavior affects your credit, and it also offers credit monitoring and fraud resolution services that are invaluable to a college student. In addition to closely monitoring your credit through their site, you can also ask your parents to hold you accountable for your credit card use every month. There are many methods for doing this, including sending them a copy of the monthly statement at the close of each billing period. Knowing that someone will be reviewing your credit card use at the end of each month will go a long way toward preventing irresponsible spending habits while also strengthening your overall credit score. Your goal should be to never carry a balance with your credit card, so make a point to always pay the full balance of your credit card bill at the end of each month. Your credit score is affected by how much credit you have available relative to how much debt you have accumulated, so carefully managing your credit card balance is especially critical. If you plan on sharing a rental property with roommates, make sure they are financially responsible and understand what is expected of everyone sharing the rental property before making any kind of commitment. Shared living arrangements are complicated enough as it is, so take the time to discuss finances and expectations regarding rent and other shared cost-of-living expenses. You should also make sure you have thoroughly outlined how utility bills will be paid each month and designate a specific bill to be put in each roommate’s name so that everyone is held accountable for contributing on time each month. Utilities and other bills that are paid late will have an adverse effect on your credit score, so do not put yourself in a position in which an irresponsible roommate causes harm to your credit score for years to come. These are excellent tips. College is the beginning of adult life. That's when it's time to start making forays into the world of adulthood - like getting your credit up. Well it's always a good idea to get your credit up but college is a great way to start. I love these tips, especially the one about accountability. When you hit college, you're getting your first taste of being an adult. That includes knowing how to manage your money. While we should teach our kids how to manage their money before college, it's never too late to start. I was raised to pay my credit card bill in full - or to NOT USE IT. This is so important. So many young people don't realize that paying the minimum balance is the worst thing they can do financially. As my mother always said, "You don't spend it if you don't have it!" Great post! That's a great way to manage your credit but sometimes it might be difficult to pay it in full. Back when I was in college (mid 90's) the credit card companies set up tents on campus and handed them out like candy. I don't know if it is still that way, but it got me into trouble and I swore I'd never repeat that mistake again. I absolutely agree with your post. Parents really, REALLY need to teach kids about responsible credit usage - where credit cards and student loans are concerned. Thanks for the great tips. We have been talking with our son about getting him a credit card. He wants to use it for food and gas and pay it off each month. There is so much I didn't know about credit cards when I started collage. It is so important for teens to be well informed on this matter. It is very important and we need to teach them how to manage it before they get that first card. Great tips. I wish someone had told me this when I Was in college. I left school with tons of debt. Oh I did too, you're not alone. These are all really great tips. 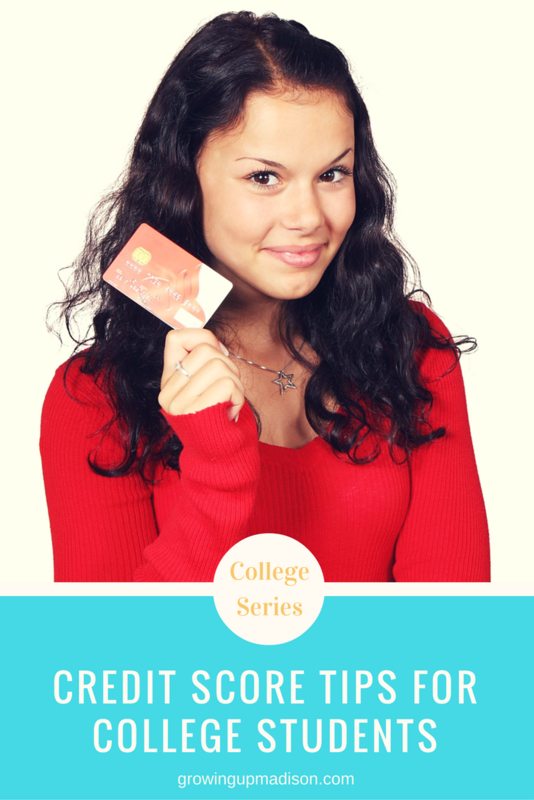 College is the start of your life as an adult so it's good to start working on your credit. It is a great idea to start working on your credit then but you should always be working on your credit in my opinion. You can't undo the mistakes but you can learn from them. I had a credit card as soon as I turned 18 and my mom taught me how to use it responsibility. I rarely pay in cash anymore because of the bonuses that you get when using a card (as long as you pay it in full) unless I am shopping at a small business. Sounds like your mom did a great job! Excellent advise. Recovering from a poor credit score can take years. Learning the importance of it early is an important part of growing up. Your advise was dead on and thanks for sharing the link to check our score. Super helpful. Oh it truly can take a long time but it can be done but better not to learn the hard way. Great tips for new college students! Definately love the paying bills early. It is so important to teach your kids about finances. I have two kids in College. I will have to share this with them. Thank you Ann and I hope they're being responsible with their cards. These are definitely things students should consider. It really does help to consistently pay your balances off quickly. It really does help and paying early and consistently is key. Students should really look at these things. Yes they should. Thanks for stopping by. My husband and I are in college. He has a credit card but I don't. It is important for students to consider. I feel like I should have had a credit card way before now! Well you don't necessarily need one if you're doing great without it. I have an Amex that I use only for emergencies. I wish I was a little smarter about my credit in college. I tried to be responsible but then it spiraled out of control at one point because I couldnt keep up with payments. Now I hate credit cards. Oh I think most college students were like you because I sure was. And you're welcome, thanks for stopping by. I hope the credit card companies arent passing out cards willy nilly like they used to! Kids need to learn responsibility and accountability before getting a credit card. Oh I'm pretty sure that they are. I remember they were lined up on campus when I was going back in the day. I wish someone would have helped me make smarter credit card decisions in college. It was so easy to get one card after the other back in the day, but I never really understood how easy it was to let things get out of hand. Thanks for providing these great tips. Oh it can spiral out of control really quickly, that's why you need to learn how to be responsible now. Teaching our kids about finances is very important. These are very helpful tips. We really should teach them how important it is. Such great tips! I got a credit card at 17 and learned early on to always pay off my balance at the end of each month! I still do that today and am proud to say I have never been in debt and have a great credit score! That is awesome. You're going to need that great credit score when its time to buy a home. These are great tips! It is very important to teach teens to handle finances the right way. Would love to discuss it with my teen. And it's never to early to start teaching them. Go for it! I have always paid my bills early and in full, never in pieces. I think this is a great pointer to follow! Some really great tips. My niece just started college and I am going to share this with her. I want her to start off on the right foot with money. Sounds like the thing a great aunt would do. All great tips! A college kid with a new credit card and new financial freedom needs to know how the impact of their choices. I over charged in college and learned my lesson quick! I did the same thing so it's good to share with them how to be responsible. What a brilliant advice. This would be perfect for my daughter, so glad that I found this. it's really helpful. Thank you and be sure to share with your daughter. These are such great tips for our children to help them learn about personal fiscal responsibility- sharing this with a few college students that I know! Thank you Melissa and they do need to learn about fiscal responsibility. I got way too many credit cards when I was in college. I'd like a do-over! Brilliant tips! This could be help a lot of college student. So glad that I found it and it would be great for my niece. I'm sure that your niece would appreciate it. Now that's a tip but how do they go about doing that. Personally I wouldn't want to do that though, I would hate calling people about their debt. I have learned over the years to be very business savvy and to prioritize the way we spend money. Saving as much as possible has been a huge part of the strategy. That's a great way to live life. My mother was just the same. I do the same thing too but I'm usually saving for big projects. That is awesome! I'm so happy to hear that you were instrumental in helping them to establish credit.